Time for a new Challenge over at Tiddly Inks... Charming. Simples. We just wanna see a charm on your project. It's that easy. Or so I thought. Right up until the point I had to figure out how to get a charm on a very clean and simple card. Oh yeah. That's easy! Pffft. Love it, it has a gothic charm to it, get it?! He, he. Oh my! 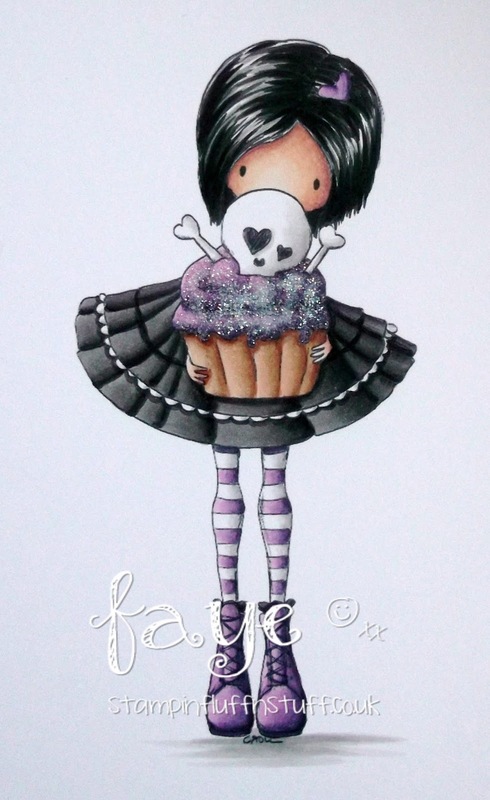 Not sure I'd like a skull with my cupcake, but your coloring skills make me think, eh...go for it. :) I love how your images look like they are ready to walk off the card front! Great Job with the charm ! Loving the design of this....but you seem to have forgotten the doodles. ;-) (I'm kidding, of course. It looks perfect!) The glittery icing looks wonderful! WON-DER-FUL card and coloring!!!! PErfect!!! Well you got it on perfectly hon... and I'm glad it's in the corner so you didn't cover any of your wonderful colouring of this fabbie image with it! Perfect! This is both super cute and a little bit creepy all at once - love it! 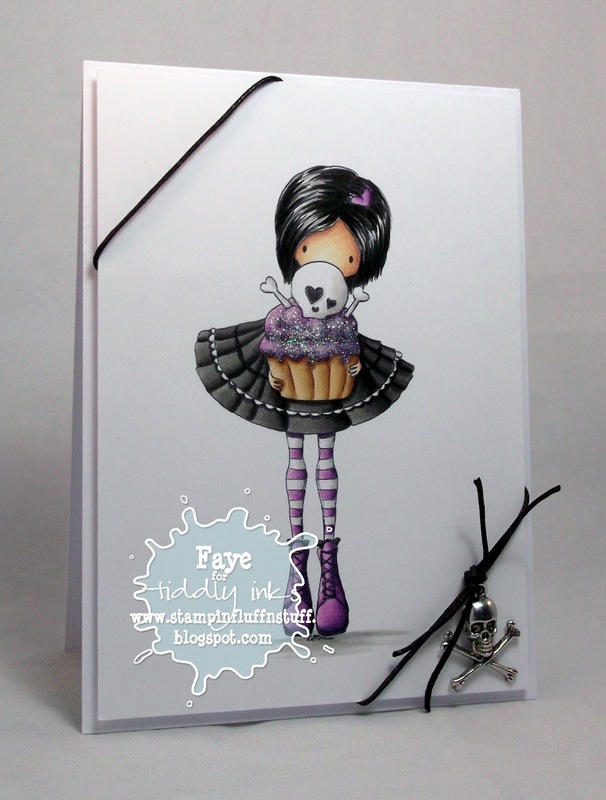 I do love those Tiddly Ink images and you've done a grand job on this little cutie. Love the CAS design and the dark, bold colouring on this... so striking! This is stunning. I love the CAS Style. OMGosh this is so fabulous! Love it.